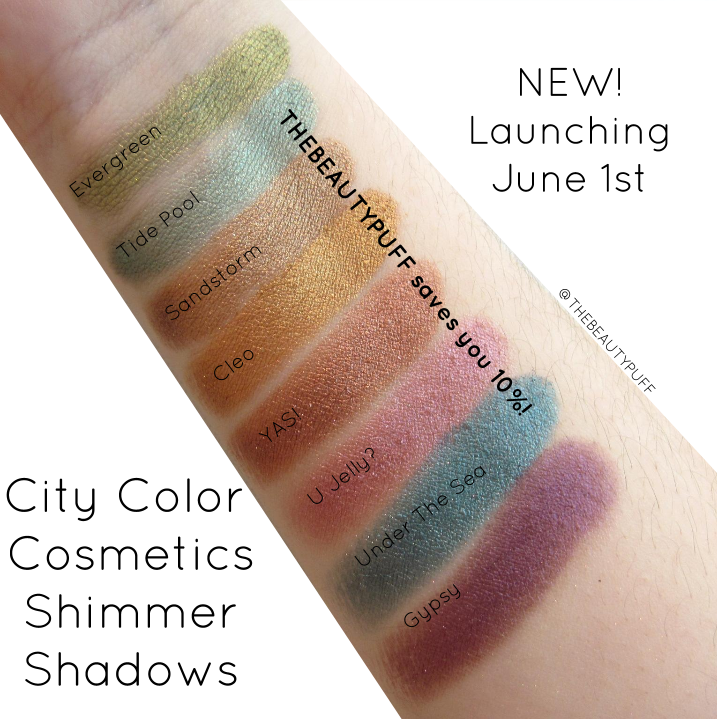 City Color Cosmetics has some exciting things launching tomorrow, June 1st! There are some gorgeous palettes, which I'll feature in another post, but today I wanted to focus on the new Shimmer Shadows that will be permanent in their line. There are eight new eye-catching shades that are absolutely stunning. 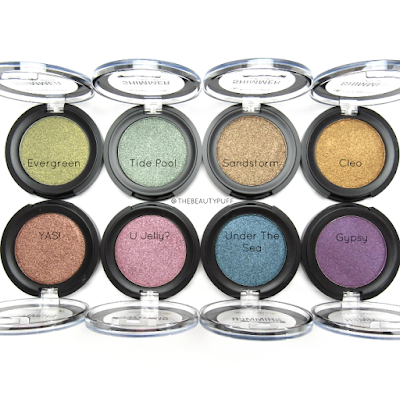 As with the original shades released in this collection, the pigmentation is outstanding. The formula is creamy with no fallout and honestly I don't even think you need primer with these, they are so vibrant! They make fabulous shades for the lid or pops of color as liner. However you wear them, you won't be disappointed, take a look at this color payoff! 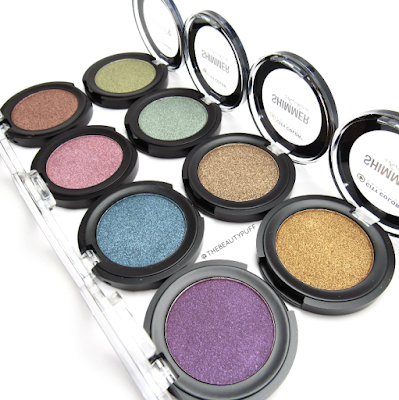 The pigmentation is consistent throughout the collection, there are no shades that apply patchy or lack in vibrancy. I love the mix of neutrals and colorful shades they released, they're definitely easy to incorporate into everyday looks. If you missed my first post featuring City Color's Shimmer Shadows, click here! 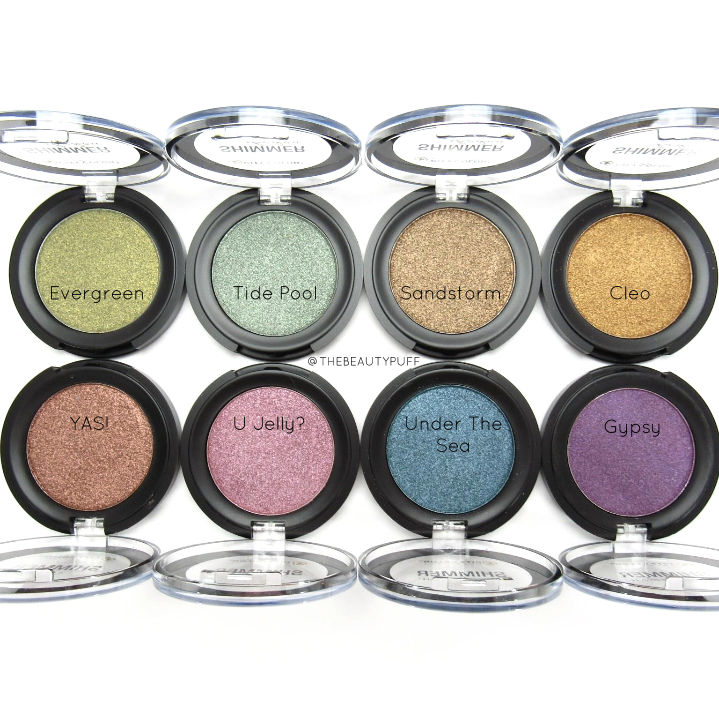 Each shade retails for $6.99 and THEBEAUTYPUFF saves you 10% on your order!